The latest about AWC EAST 2018. Stay up-to-date with the latest from Advancing Women 2018! Media Planet: Diversity in agriculture is often underdiscussed – see how one group is helping women become leaders in the field. Farm Marketer: On this episode of Impact Farming, we sit down with Candace Hill to discuss Leadership and Long Runs and how this is very similar to farming. Farm Marketer: On this episode of Impact Farming, we sit down with Sheri Griffiths to discuss working with your banker. November 30, 2018 AT AWC Candace Hill shared her insights on leadership—watch her AWC video presentation here and check out the recent article from Progressive Dairyman here. Farm Marketer: On this episode of Impact Farming, we sit down with Julie Gunlock to discuss modern agriculture in the culture of alarmism. The culture of alarmism is an unending and relentless drumbeat that everything sold in the grocery store, every piece of food out there is going to kill you or harm your family and a lot of it is tied to a lack of understanding of the modern food system. We are seeing more and more fear-based messaging and questionable marketing going on. European Seed: “Women in agriculture around the world, whether in developing or developed countries, say widespread gender discrimination persists and poses obstacles to their ability to help feed the world, according to a new study from Corteva AgriscienceTM, Agriculture Division of DowDuPont. July 22, 2018 • Women in ag – Check this out! 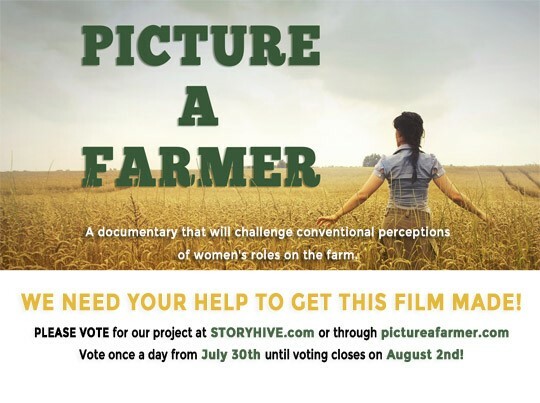 Picture a Farmer: Help support this initiative to produce a documentary about female farmers and female-led farms in Alberta by voting for its production from July 30 – August 2, 2018. Check out their website at www.pictureafarmer.com and watch for news on how to vote! Manitoba Co-operator: “A Manitoba farm family is donating proceeds from a crop to support the STARS air ambulance program and issuing a challenge to other farms to do the same. Rural Roots Canada: “A leader with Corteva Agriscience says playing to your strengths and using your talents can lead to success in business and your personal life.